Facebook is looking for VC firms to invest in its cryptocurrency project for sums as large as $1 billion, according to NY Times reporter Nathaniel Popper. The company is allegedly designing its crypto as a stablecoin for WhatsApp using a basket of foreign currencies as collateral. On Apr. 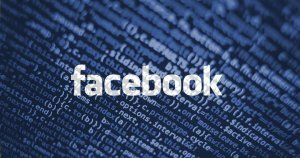 8, Nathaniel Popper posted a series of tweets with new information gathered from “sources” on Facebook’s blockchain project. Allegedly, one source revealed to Popper that the company is raising the funds to collateralize a stablecoin. However, unlike most other stablecoins, Facebook’s coin would purportedly be backed by a basket of foreign currencies—making it even more resilient to volatility, even against currency exchange rates. Such a stablecoin could seriously disrupt the need for industries like Forex. The last time Facebook raised funding was through a venture round on Mar. 10, 2012, for an undisclosed amount. The last public amount that Facebook raised was on Jan. 21, 2011 for $1.5 billion from firms including Goldman Sachs Investment Partners and DST Global, according to CrunchBase. Furthermore, saying that Facebook is one of the richest companies on earth is not an overstatement. The company generated $56 billion in revenue in 2018 alone, with a net income of $22 billion. These figures represent more cash than the market capitalization of every single cryptocurrency except Bitcoin. For reference, Facebook’s market capitalization is more than double the market capitalization of all cryptocurrency projects combined, sitting at $500 billion. Worldwide, Facebook reaches a massive 2.3 billion monthly active users. The company has the resources and the users to push crypto adoption to levels not witnessed before. 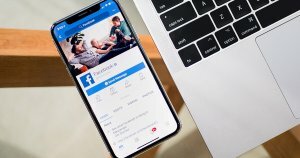 Those watching should be both concerned and excited about Facebook’s entrance into the blockchain scene.